If you're passionate about startups and technology, and love sports, have played sports, or work in sports, Starters is for you! Our mission is to bring the worlds of technology and sports together, to drive both industries forward. 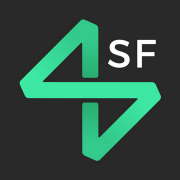 This is the San Francisco chapter of our digital sports technology community (Starters.co), so come meet our local members IRL and start shaping the future of sports!